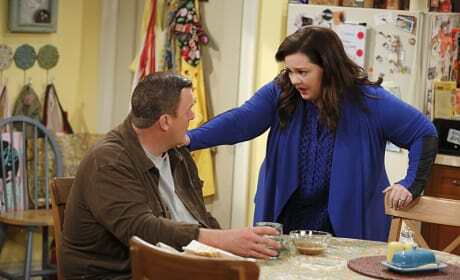 Molly tries to lift Kay's spirits on Mike & Molly. 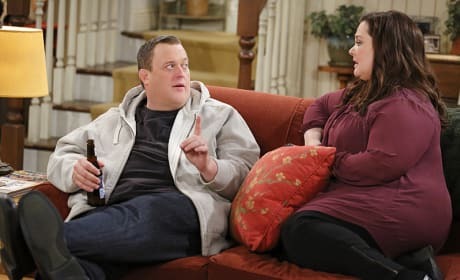 "No Kay Morale" is the 18th episode of the show's fifth season. 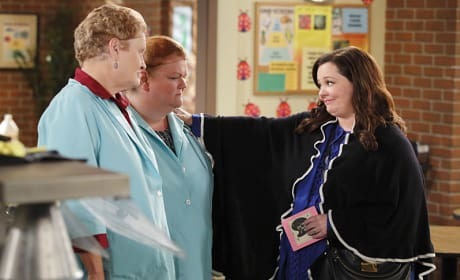 Peggy is surprised to see her sister on a road trip to her hometown on Mike & Molly. "Mudlick or Bust" is the 17th episode of the show's fifth season. 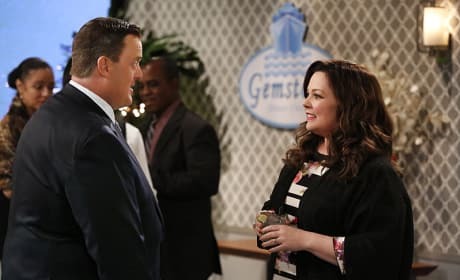 Molly doesn't want Mike to attend her publisher's party on Mike & Molly. "Cocktails and Calamine" is the 16th episode of the show's fifth season. 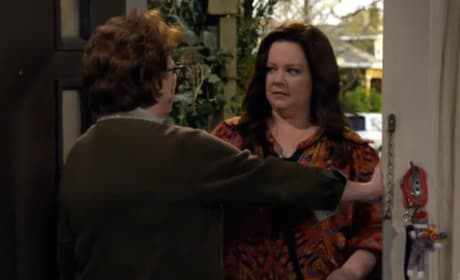 Molly grows annoyed when Peggy has her do chores in exchange for stories on Mike & Molly. "What Ever Happened to Baby Peggy" is the 14th episode of the show's fifth season. 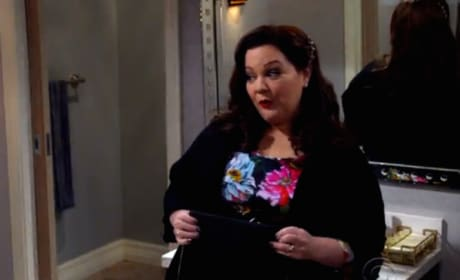 Molly plans to throw a party when she hears that Peggy is retiring on Mike & Molly. "The World According to Peggy" is the 12th episode of the show's fifth season. 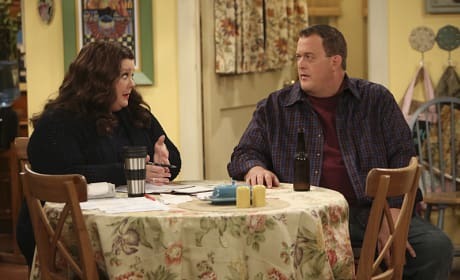 Mike and Molly realize they may have the house to themselves on the latest episode of Mike & Molly. 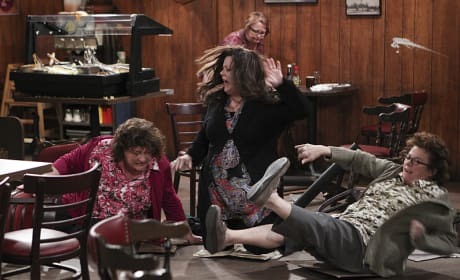 Joyce refuses a breahtalyzer when she's stopped for a DUI on Mike & Molly. "Check Point Joyce" is the tenth episode of the show's fifth season.